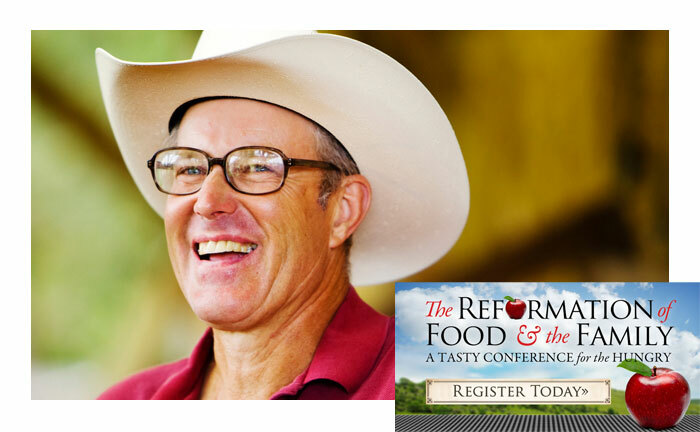 Our family was blessed to attend the Reformation of Food and Family Conference this month where Joel Salatin was one of the featured speakers (along with a wonderfully fun French Chef, Francis Foucachon). I went to every single session where Joel spoke so I could get the full picture of what he's doing on his Polyface Farm as well as his vision of food, farming, and ministry. I keep trying to figure out how to sum up what I learned, but the more I try, the more I realize I'm just not going to do it justice. I guess the biggest take-aways for me was that Joel is extremely knowledgable on the subject of integrated, sustainable farming (and he has a deep love for the Lord), that I've grown up with some really backwards thinking about food systems on the farm, there's a great opportunity to minister by homesteading to a lost and dying world, and I've only just started to scratch the surface of all there is to learn! 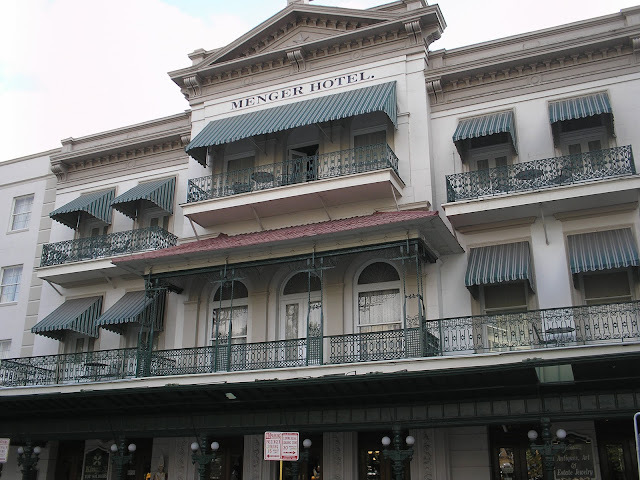 While attending the conference, we had fun staying at a historic hotel... The Menger of San Antonio. Built in 1859, the history behind this place is amazing. 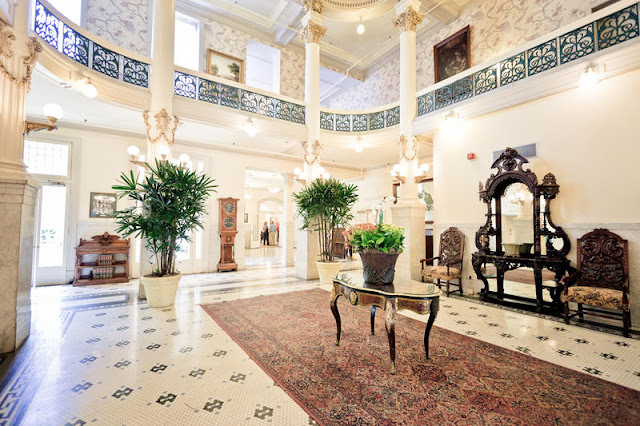 I can imagine how exclusive it must have been it's day since even Presidents have graced it's halls. And the location made it accessible to everything... the Alamo, Riverwalk, and Convention Center (where the conference was held) were just steps away, so we never had to get in our car to site see. At the conference, I had the pleasure of meeting and visiting with a few Homestead Revival readers as well as authors, Noah Sanders and his wife (Redeeming the Dirt), and Renee DeGroot (Health for Godly Generations). Wonderfully gracious people... all of them! And we had some great down time visiting with long time friends, eating great Mexican food by the river, seeing the Alamo, and taking a river boat tour. Lots of other well known speakers and homesteaders attended. Michelle Dugger, a couple of the West Ladies of Homestead Blessings, and Nancy Campbell of Above Rubies. But my favorite was Pastor and Chef Francis Foucachon. I had never heard of him before the conference, but he was a wealth of information for cooking, hospitality, Sabbath Keeping, and ministry! And funny! Unfortunately, I couldn't be in every single seminar, so I was thrilled that they offered audio recordings of the various workshops. 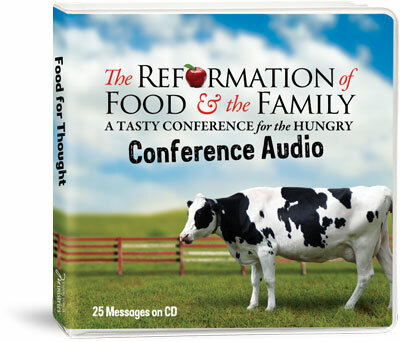 And for a limited time, Vision Forum is offering 25 of the most popular sessions on MP3 and CD. You'll need to hurry, because these will only be available until August 7th. For those who wanted to attend, but couldn't, I hope you will be able to take advantage of these resources. I think the conference was well received and hopefully they'll continue this topic at future events. In the meantime, there's also some great You Tube videos with Joel Salatin. For me, I'm diving into one of his books that I picked up at the conference as soon as possible because there's always more to learn! There's Still Time To THRIVE! Sizzling Summer Round Up: Organic Beekeeping 101! Sizzling Summer Round Up: Grandpa Jake's! Sizzling Summer Round Up: Plan To Eat! Sizzling Summer Round Up: Your Custom Homestead! Sizzling Summer Round Up: Timber Press! Sizzling Summer Round Up: Lilla Rose! Sizzling Summer Round Up: Mountain Rose Herbs!